Twin Cities Habitat builds and repairs homes in Minneapolis' and St. Paul's core urban neighborhoods. Through Neighborhood Revitalization, we partner to raise the overall quality of life for everyone in the community. 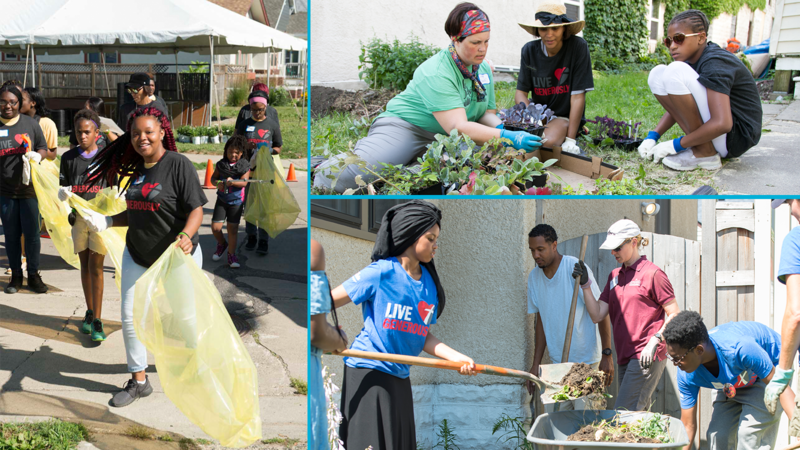 Strong collaborations with residents, community groups, donors, and volunteers deliver positive outcomes in the Jordan neighborhood of Minneapolis and the Frogtown neighborhood of St. Paul. Since 2011, we have been partnering with community organizations to support residents in their vision for their neighborhood. Through our community building projects, we create space for our community partners to lead their ideas and work together to support residents make their neighborhood the best it can be for them, one block at a time. Jordan Area Community Council has partnered with Twin Cities Habitat for Humanity to bring Jordan Week of Kindness. Come celebrate our community on Saturday, June 1 from 11:00 a.m. to 3:00 p.m. on Russell Ave. North (between 26 Ave. and 29 Ave.). The neighborhood celebration will include activities for kids, free food, health and housing resource fair, free giveaways, tours of Habitat homes, and local performers. Vendors should email andrea@jordanmpls.org or call 612-886-4539.